Here some links and features of Cookin’ Canuck in the media. Click on the link that interests you. Featured post about my work as a brand ambassador and an event in California for the California Avocado Commission. Cooking segment on Utah’s NBC affiliate, KSL’s Studio 5 show, making Whole Wheat Oat Pancakes with Lemon & Berries. Click here to see the segment. 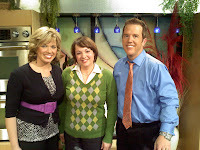 Feature segment on Utah’s NBC affiliate, KSL’s Studio 5 show, featuring my health and weight loss journey. Click here to see the segment. Cooking segment on Utah’s NBC affiliate, KSL’s Studio 5 show, making Chicken Pasta Salad with Plums, Feta & Cumin Dressing. Click here to see the segment. 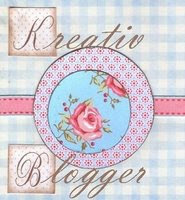 Guest post on Food Bloggers of Canada site, titled Media Kits 101. Dara (Cookin’ Canuck) is one of the founding members of the popular running (and eating) group, Red Faced Runners. The group kicked off a virtual 5k challenge, which caught on like wildfire across social media. Click here for the inaugural post. Cooking segment on Utah’s NBC affiliate, KSL’s Studio 5 show, making Grilled Mushroom Sliders with Cilantro-Almond Pesto and talking about How to: Grill Like a Girl. Click here to see the segment. Cookin’ Canuck was a featured speaker, alongside Rachael of La Fuji Mama, at Camp Blogaway. The topic was Revamping Your Blog. CityTV’s CityLine featured Cookin’ Canuck as their Blogger of the Month. Cookin’ Canuck was listed as one of Babble.com’s Top 100 Mom Food Bloggers. Cooking segment on Utah’s CBS affiliate, KUTV2’s noon news, making Salad Cups with Quinoa, Shrimp & Lemon Dressing. Click here to see the segment. Cooking segment on Utah’s NBC affiliate, KSL’s Studio 5 show, making Asian Quesadilla with Hoisin Sauce, Chicken & Zucchini. Click here to see the segment. Cookin’ Canuck wrote a guest post, Keeping Healthy Dinner Ideas Interesting for the Food Bloggers of Canada site. Cooking segment on Utah’s CBS affiliate, KUTV2’s noon news, making Make-Ahead Baked Eggs with Bacon, Mushrooms & Sage. Cookin’ Canuck received the honor of Third Place in the Ninjamatics’ 2011 Canadian Weblog Awards. Cooking segment on NBC’s local show, Studio 5, making Baked French Fries with Chile Peppers & Cilantro. Watch the segment here. Cooking segment on Utah’s Channel 2 Noon News, making Mediterranean Chicken, Pasta & Bean Soup. Cookin’ Canuck was named as a shortlisted nominee for the Canadian Weblog Awards in the category of Best Weblog About Food & Drink. Cookin’ Canuck was the featured blog on The Food Bloggers of Canada site. Cookin’ Canuck was featured in the Blogger Spotlight on Taste and Tell. Cooking segment on Utah’s Channel 2 noon news (KUTV2), making Hearty Chicken Stew with Butternut Squash & Quinoa. Cookin’ Canuck (and her family) were featured in the debut issue of Foodiecrush Magazine (pp. 64-83) in the article titled Apres Eats. Cookin’ Canuck’s photo of Shredded Brussels Sprouts with Bacon, Cranberries & Pecans was featured in Nomad Editions’ digital magazine Real Eats. Cookin’ Canuck’s write-up on Log Haven restaurant was featured in Gourmet.com’s Road Trip: Top 10 Restaurants for Thanksgiving Feasts. Cookin’ Canuck wrote a post for The Pioneer Woman’s Tasty Kitchen blog: Roasted Chicken Soup with Gnocchi & Pesto. Cooking Segment on Utah’s Channel 2 noon news (KUTV2), making Pumpkin Cream Cheese Stuffed French Toast. Cooking segment on Utah’s Channel 2 noon news (KUTV2), making Spicy Black Bean Dip with Chipotle & Roasted Red Peppers. Part 1 and Part 2. Cookin’ Canuck was featured in Babble.com’s Food Blogger Bites, titled What’s Your Best Tip for Packing School Lunch? Cookin’ Canuck wrote a post for The Pioneer Woman’s Tasty Kitchen blog: Blueberry Streusel Scone. Cookin’ Canuck wrote a post for The Pioneer Woman’s Tasty Kitchen blog: Mocha Brandy Frappe. Cookin’ Canuck wrote a post for The Pioneer Woman’s Tasty Kitchen blog: Chicken Spinach Salad with Warm Bacon-Artichoke Dressing. Cookin’ Canuck’s Grilled Potatoes with Smoked Paprika recipe was featured on Glamour Magazine’s website. Cookin’ Canuck’s recipe for Spinash Ohitashi was published in Peko Peko: Family Friendly Recipes, a cookbook to support Japan’s recovery. Cookin’ Canuck was featured in an interview on the Food Lovers’ Website. Cookin’ Canuck’s Rhubarb Fool with Whipped Cream & Gingersnaps was featured in The Pioneer Woman’s Tasty Kitchen post, titled The Theme Is…Rhubarb! Cookin’ Canuck wrote a guest post for The Pioneer Woman’s Tasty Kitchen blog: Oatmeal Butter Tart Squares. The Pioneer Woman featured Crispy Parmesan Cheese & Rosemary Cups with Spinach & Strawberry Salad on her post, Web Deliciousness: Strawberries. Cookin’ Canuck co-hosted an online discussion about breakfast nutrition, sponsored by Kellogg’s, on TheMotherhood. Cookin’ Canuck’s recipe for Grilled Cheese Sandwich with Jarlsberg Fondue, Ham & Tomato was featured in Kitchen Play’s Celebrate Grilled Cheese Month post. Cookin’ Canuck was listed as #14 on Babble.com’s Top 100 Food Mom Blogs. Cookin’ Canuck’s Whole Wheat Waffles with Blueberry Maple Syrup were featured as Food News Journal Daily Recipe. Cookin’ Canuck was featured by Mushrooms Canada in their series, Canadian Food Bloggers We Love. Cookin’ Canuck’s Spicy Black Bean Dip with Roasted Red & Chipotle Peppers was featured in Canadian Living Magazine’s online roundup, “This Week’s Best Food Posts”. Cooking Segment on Studio 5 (NBC-KSL5), making Brie Cheese & Strawberry Puff Pastry “Ravioli” with Chocolate Sauce. Cookin’ Canuck’s Pancetta, Caramelized Onion Puff Pastry “Ravioli” with Roasted Red Pepper Sauce was featured as the Recipe of the Day on the Food News Journal. Cookin’ Canuck wrote a guest post for White on Rice Couple’s blog: Pancetta, Caramelized Onion Puff Pastry “Ravioli” with Roasted Red Pepper Sauce. Cookin’ Canuck wrote a guest post for The Pioneer Woman’s Tasty Kitchen blog: Red Quinoa, Black Bean & Bell Pepper Salad. Cookin’ Canuck’s Mini Frittatas with Bacon, Parmesan Cheese & Green Onions were featured as the Recipe of the Day on the Food News Journal. Cookin’ Canuck wrote a guest post for The Pioneer Woman’s Tasty Kitchen blog: Graham Cracker Cookie Bars. Cookin’ Canuck’s Chocolate & Peppermint Bark Cookies were featured on The Pioneer Woman’s Cookie Week post. Cookin’ Canuck’s Chocolate & Nutella Fudge with Sea Salt was featured on PBS Parents Kitchen Explorers site. Delishhh.com featured an interview with Cookin’ Canuck. Gourmet Live featured Cookin’ Canuck’s Turkey, Brie, Pear & Cherry Chipotle Panini in an article about turkey leftovers. Cookin’ Canuck wrote a guest post for The Pioneer Woman’s Tasty Kitchen blog: Perfect Pumpkin Cheesecake. Cookin’ Canuck’s Apple Upside Down Biscuits was featured on PBS Parents Kitchen Explorers Site. Cookin’ Canuck wrote a guest post for the popular online magazine, Babble.com: Shredded Brussels Sprouts with Bacon, Cranberries & Pecans. Cookin’ Canuck wrote a guest post for The Pioneer Woman’s Tasty Kitchen blog: White Chocolate Walnut Blondie with Maple-Butter Sauce. Cookin’ Canuck was featured in Canadian Living Magazine’s online article, titled Our Favourite Food Bloggers Share Their Ingredient Phobias. Cookin’ Canuck’s recipe for Grilled Chicken with Smoky Corn & Tomato Salsa was developed for CBSNews.com and featured on their Health blog. Wine Enthusiast Magazine quoted Cookin’ Canuck & featured CC’s Creamy Zucchini & Coconut Milk Soup (Dairy-Free) recipe. Fine Cooking Magazine featured Cookin’ Canuck’s Zucchini, Tomato & Gorgonzola Puff Pastry Tart on their Best of the Blogs page. Cooking segment on Studio 5 (NBC-KSL5), making Chicken BLT (or Bacon, Spinach & Tomato) Pasta Salad. OnlineSchools.org gave Cookin’ Canuck their 2010 Top 45 Dinner Blogs Award. Cookin’ Canuck was interviewed for a feature on Tasty Kitchen, Ree Drummond’s (The Pioneer Woman) cooking community blog. Ile de France Cheese interviewed Cookin’ Canuck for a feature on their website. Ile de France Cheese awarded Cookin’ Canuck’s Brie Cheese & Strawberry Puff Pastry “Ravioli” with Chocolate Sauce first prize in the judged prize portion of their Springlicious Recipe Contest. Cookin’ Canuck’s Mint-Basil Chicken Pasta Salad and Grilled Shrimp Pesto Pizza was featured in Birth of a Mother magazine. The National Onion Association featured Cookin’ Canuck’s Caramelized Onion & Spinach Olive Oil Quick Bread Recipe as the June Recipe of the Month. The Cooking Club of America featured Cookin’ Canuck’s Reese’s Peanut Butter & Chocolate Cheesecake Bars in their Food Now newsletter. Cookin’ Canuck was chosen as one of Babble.com’s Top 50 Mom Food Bloggers. Cookin’ Canuck’s recipe for Asparagus Frittata with Smoked Paprika, Thyme & Feta Cheese was featured in Wasatch Community Garden’s online newsletter. The Sandy Journal (local paper) featured Cookin’ Canuck in an article in their March issue. Cooking segment on Studio 5 (NBC-KSL5), making Quinoa with Caramelized Mushrooms, Soy Sauce & Ginger. BlogHer featured a profile on Dara & Cookin’ Canuck. On February 1st, Saveur Magazine online listed Cookin’ Canuck’s Spinach Salad with Fuyu Persimmon, Jicama & Avocado on their Top Ten Recipes list and in Saveur’s online newletter. Cookin’ Canuck’s Spinach Salad with Fuyu Persimmon, Jicama & Avocado was mentioned in Saveur Magazine’s online article, Winter Vegetables: Spinach. The California Strawberry Commission included Cookin’ Canuck’s Grilled Strawberries with Gingersnap Meringue and Baked Brie & Strawberries in their new iPhone app. Get the app for free. Cookin’ Canuck’s Pan-Fried Brie Cheese with Persimmon Salsa Canapés won the Chef’s Choice Award from Ile de France cheese. Cookin’ Canuck’s Sage & Gorgonzola Gougeres (Cheese Puffs) Recipe was featured in Saveur Magazine’s Ultimate Holiday Guide (under Holiday Appetizers & Hors d’Oeuvres).